Become a Partner with ACC and you will enjoy many benefits not available with other sub-prime lenders. At ACC, we work with and for our Dealer Partners. By becoming a Dealer Partner with ACC, you will enjoy the luxury of working with a single point of contact through regionally specific sales representatives and an experienced hands-on underwriting team which is accessible and easy to reach anytime you need to negotiate a deal. Currently only servicing dealerships in the following states: Arizona, California, Florida, Illinois, Indiana, Michigan, Nevada, Ohio, and New York. Am I eligible to sign up with ACC? How do I get signed up with ACC? Your marketing representative will take you through all the steps to become an ACC dealer partner. Once you have confirmation from your ACC sales representative that your application process is complete, you can start submitting contracts to us. Please fill out our Request a visit from an Automotive Credit Representative form, and you will be contacted promptly. Please do not submit Automotive Credit applications until you have confirmation that your application process is complete and your dealership has been activated. Can I go over the maximum amount to finance if I add a service contract? You may add an approved service contract to the maximum amount to finance for the vehicle. You may login and visit the document library for more information regarding service contracts. If I send in a complete contract package, how long does it take to get funded? Complete contract packages are funded within 48 hours. What are the hours of the Credit Department? Does ACC use credit scores in the application process? ACC uses its proprietary scorecard and the customer’s credit score is a factor. The average FICO score is 550, however 35% of ACC’s approvals are on no-FICO customers, and ACC evaluates every application based on the overall structure of the loan, not just a score. Many sub-prime lenders seem to be going out of business all the time. What kind of financial stability does ACC have? 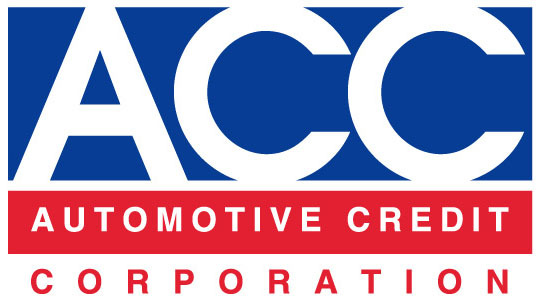 Automotive Credit Corporation has been in business since 1992. We originate and service our accounts through maturity and have never needed asset backed securitization due to our strong long term banking relationships. I have a customer who needs customer service or who has a question about their account, who should I refer them to? Please refer customers to our customer service phone number: 800-810-1211. Customer service hours are Monday through Friday 8:00 am until 8:00 pm and Saturdays 8:00 am until 12:00 pm (Eastern Time). Can I check out the status of my application online? You may use your login and password to view the statuses of your application via our dealer portal. If you need a login and password, please contact your ACC Sales Representative. Does ACC have a First Time Buyer Program? A first time buyer will fit into many of our programs. I'm already an ACC dealer, who do I call if I have a question regarding a deal or the Dealer Finance Plans? Your ACC Sales Representative is your first contact for almost any question that you may have. They can help you with everything from “How do I sign up” to specific questions about how our programs can help you make more money. How fast can I expect a decision on my credit application? Most decisions are received in 30 minutes or less. Does ACC finance self employed applicants? Yes, providing the applicant can prove their income. Automotive Credit Corporation requires past two years tax returns and proof of current year to date income.